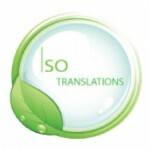 ISO Group is a truly international translation company providing the most complete translation services to clients worldwide. We have offices located all over the world; our map shows the locations. We assist companies globally to communicating effectively in a wide variety of languages and to thrive and excel in the global community. We are expanding rapidly and are always looking for motivated and enthusiastic translators, DTP and IT specialists and project managers to strengthen our dynamic and internationally oriented team. 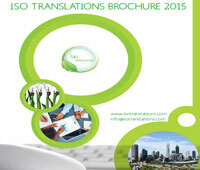 We require a University degree in translation and preferably experience as a translator. You will be connected to our virtual network; we have developed a special system for this purpose, which makes it possible to be home-based. Project manager positions, working from one of our many offices, are also available. If you are interested in our professional translator jobs, please e-mail your CV using the form below!